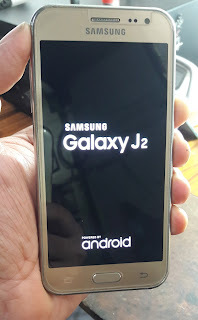 You may face this problem on Samsung J2, it hangs or stuck on Android Logo and after flashing firmware also same problem. Here we will show you the Hardware Repair solution for Samsung J2 hangs on logo. In this case you can boot into Download mode and flash the phone but not success, after flashing firmware also same hang on Samsung Android logo. So here is the solution for Samsung J2 hangs on logo using hardware trick. First flash the Samsung J2 if not success. Remove the LCD Connector, If the phone is switched on (you can hear a switch on sound). If you are not able boot in to Recovery mode only can boot into Download mode. Note: If you are a Mobile Technician then try this method otherwise don't, we are not responsible for any damage happen to the phone. 1- Replace LCD and Touch it will solve your problem. 2- Clean the Touch connector carefully and then check. 3- If you still not success then it must be the EMMC problem.